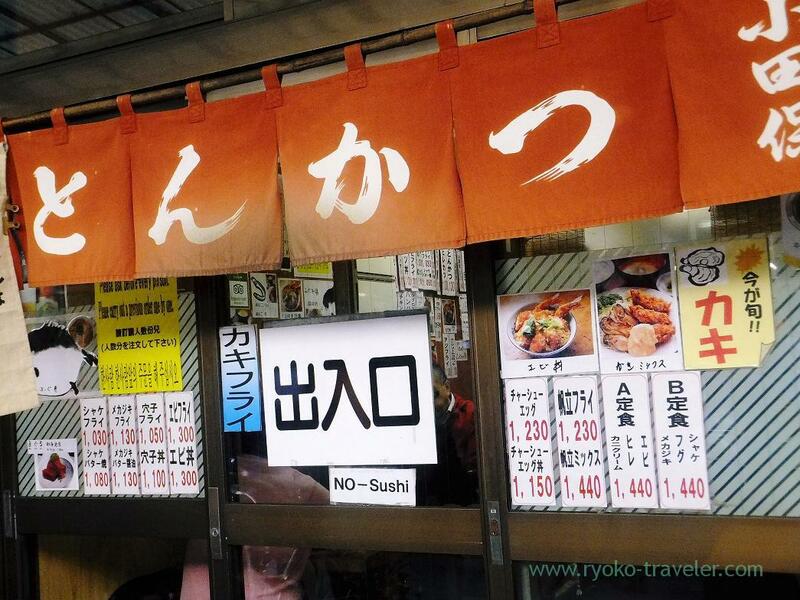 Truthfully speaking, I wanted to go to Tenfusa, but Tenfusa didn’t offer any seasonal tempura that day. Finally, Odayasu’s mistress remember my face and she asked my job. 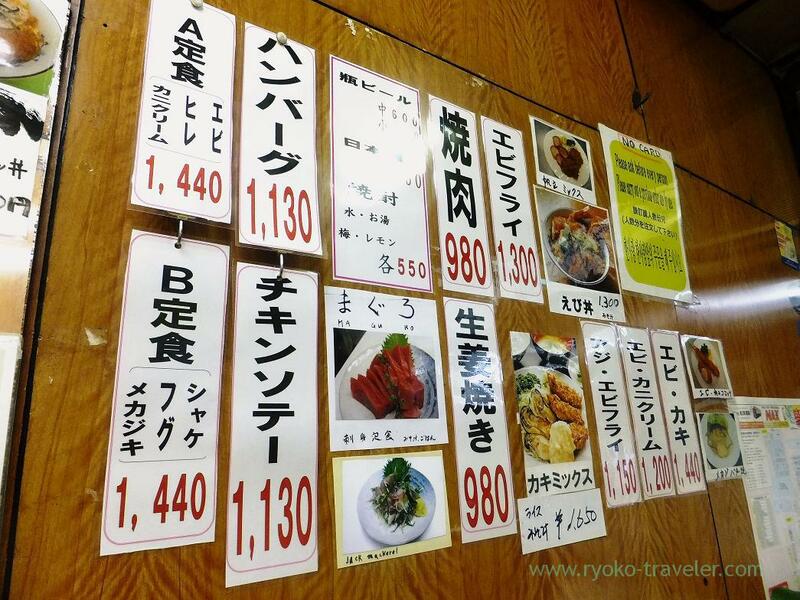 By the way, Odayasu updated their prices on the menu from April 1st because of consumption tax increase. Well, the menu is bright ! New ! Umm. I want nice round number…. I decided to order a A set(A定食, 1440 yen) that day before entering the shop. 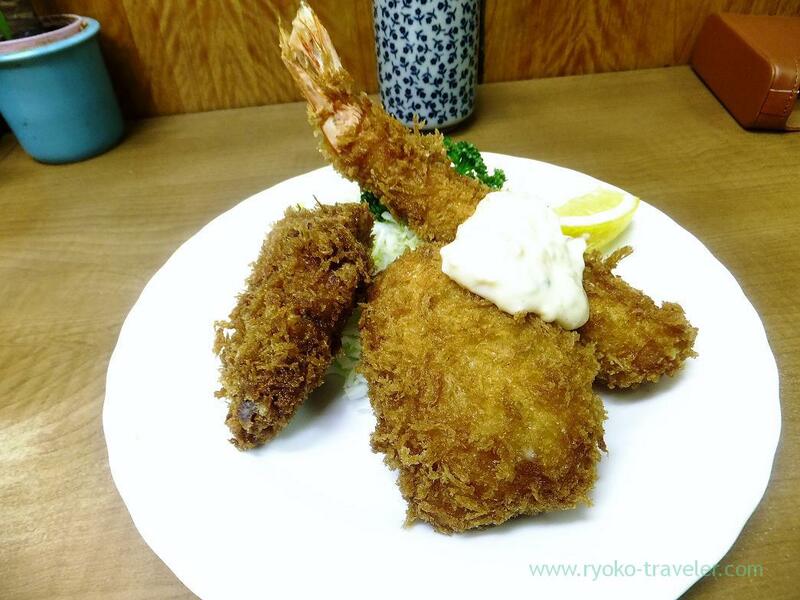 “A set” have pork fillet cutlet, crab cream croquette and deep fried shrimp. Those were fried so deeply that day… but still those were tasty. I don’t remember exactly.Pickled vegetables isn’t serve with set since some time or another. It’s a shame. 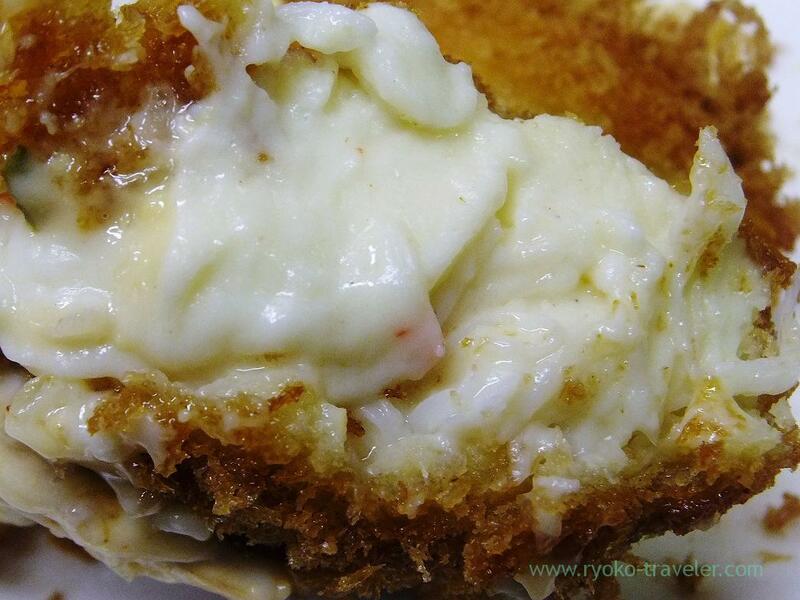 Section of the crab cream croquette. 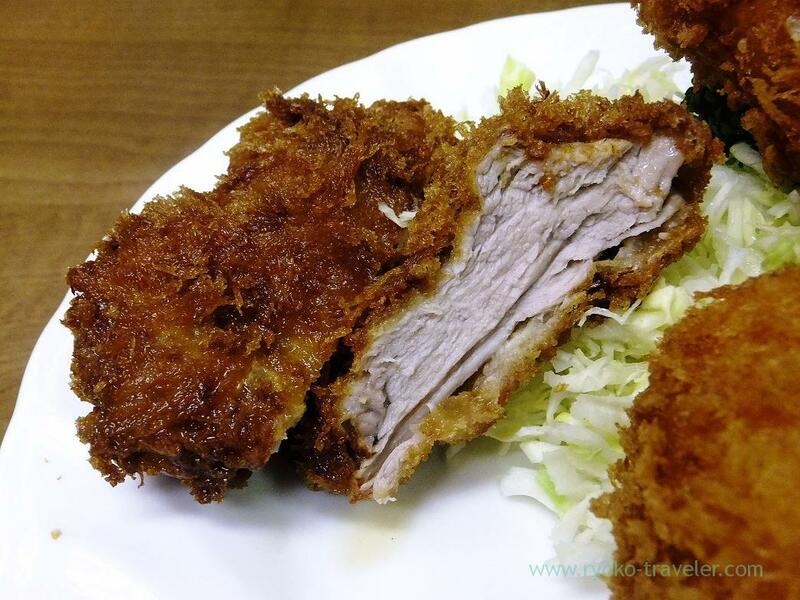 Section of the pork fillet tonkatsu. Because it was fillet, the meat wasn’t juicy, but it was better than I had expected.It had good taste of meat. The shrimp was tasty enough. 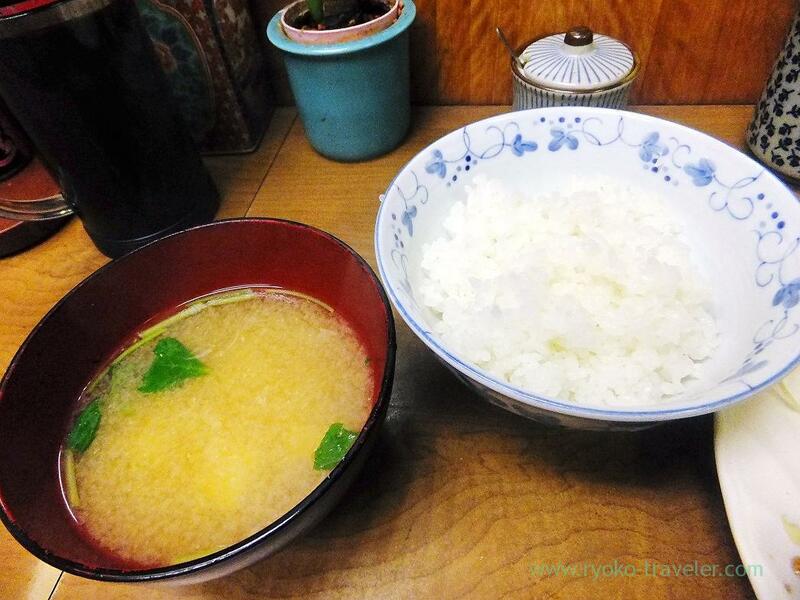 That day, many people ordered “Oyster mix (Deep fried oysters and fried oysters with butter set)”. Oysters is going to be out from the menu soon.